The founder of fuzzy logic, Azerbaijani scientist Lotfi Aliasker Zadeh has passed away, Press TV reported. 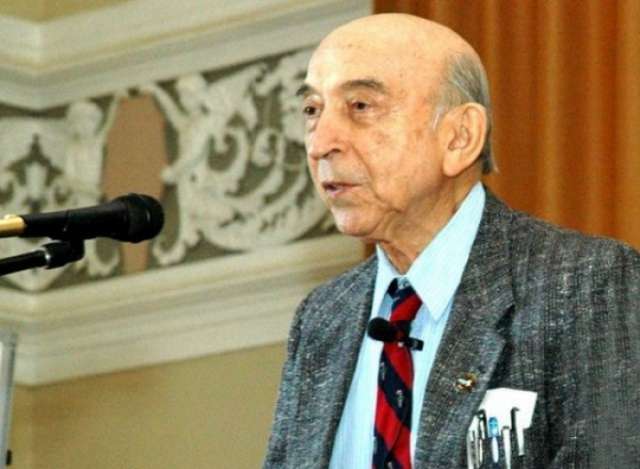 Mathematician and artificial intelligence scientist Lotfi Zadeh passed away on Saturday several days after it was reported that his health was severely deteriorating. He was born in 1921 in Baku. As our friends are listening to our talk about him, Lotfi passed away September 6, 2017 around 7 AM. I praise Lotfi to the limited of my ability in my talk with Dr. Hamilton http://els4.net : He is greater than Turing, where Turing Test is a test of the common sense of the machine, which is exact. Amy and I could be the last two friends, outside his relatively and nurses, to see him Aug. 2, 2017. I deliver to his house big letter Aug. 19: Fuzzy is more accurate than exact. Evolution is fuzzy. Fuzzy Logic is above theory of evolution. Lotfi is greater than Charles. He has fought to live on for us all for three weeks since Aug. 12, 2017, his scheduled and rumored death, after I and Chien Yi Lee saw him for the last time Aug. 2, 2017, over the objection of his relatives and nurse, but with the approval of Lotfi, to encourage him to fight and live on. He shall live in our hearts for another four thousand years.